All Double Handed and Adventure Sailing participants must be prequalified by our instructors. For a course descriptions click here. for second or more siblings in same family in the same week. $195: Children of active duty military personnel. To register for a class you have two options. Register online by clicking the "Register Now" button below. Then, follow the registration instructions. You may also call for specific details and availability for the week you want to reserve. Contact us directly for details and questions. This is our 21th year offering our program. We look forward to helping you have a great sailing experience this summer! 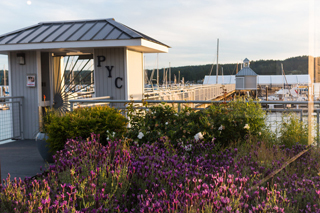 Poulsbo Yacht Club offers a unique way to get your kid out in the great outdoors this summer – sailing camp! PYC offers 6 one-week all-day youth programs, ages 10 to 15, from July 8 through August 16. Our "Learn to Sail" classes typically introduces terminology, boat rigging, water safety, and basic sailing skills such as knot tying, while the advanced "Double-handed Sailing" class is designed for older children which builds on the beginners course’s foundation. The beginners class (Learn to Sail) is designed for children with little or no experience sailing a single-handed (single person) dinghy. Students will learn basic dinghy sailing skills as well as basic seamanship. They will learn common sailing knots, parts of the boat, and right-of-way rules. They will also learn the points of sail, basic tacking and gybing, and basic sail trim. 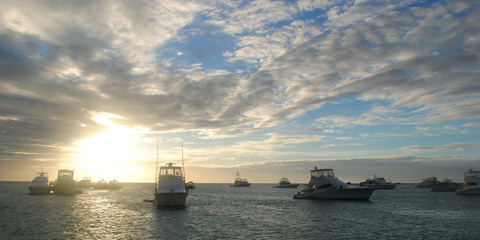 Emphasis will be placed on proper boat handling and sail trimming technique. As our core introductory course, we strive to provide a safe and fun learning environment, and to emphasize team work and camaraderie on the water. This class is perfect for younger sailors and children looking to give sailing a try for the first time, as well as those who want to reinforce their sailing skills. On day one of the beginner’s class (Learn to Sail) all students will learn how to recover from a capsize (that is, when the boats tip all the way over in the water), which is a normal part of sailing small boats. The students' boats float even when capsized. Students will be taught to stay with their boat, how to right it, re-board and sail away. This class is designed for children who have completed the "Learn to Sail" (or an equivalent) course. Students will learn how to sail these larger and faster boats as both skipper and crew. The focus is on boat handling, sail trimming skills and teamwork. 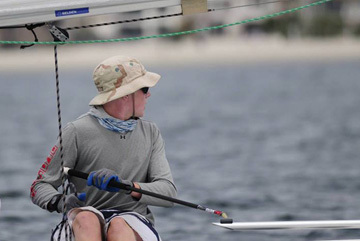 This class works well for those kids that have become too big to comfortably sail a dinghy and for those that want to continue their sailing experience with a middle or high school racing team. The "Adventure Sailing" class offers your child the opportunity to sail and explore outside of Liberty Bay into more open waters such as Port Madison and Manzanita Bay on Bainbridge Island, and the Port of Brownsville. It offers an introduction to the cruising aspects of sailing. All PYC Junior Sailing courses are taught by instructors that are certified in First Aid, CPR, as well as Sailing Instruction by The American Red Cross and/or The U.S. Sailing Association. In most cases our instructors have spent at least some time as an Assistant Instructor in our program.